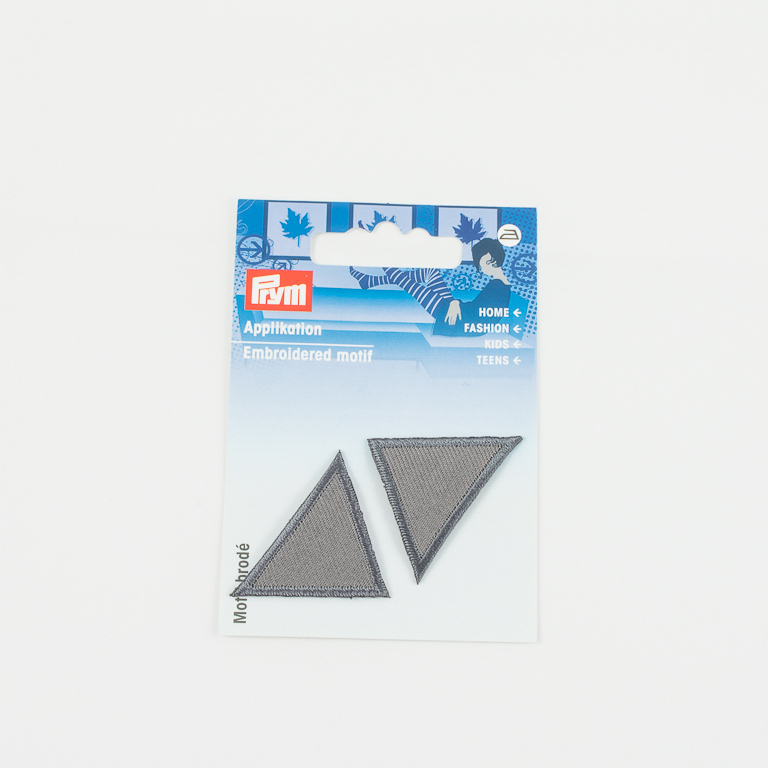 Iron-on patch in triangular shape for clothing decoration in gray color. The price corresponds to one pair. Dimensions 3.8x3.1cm.